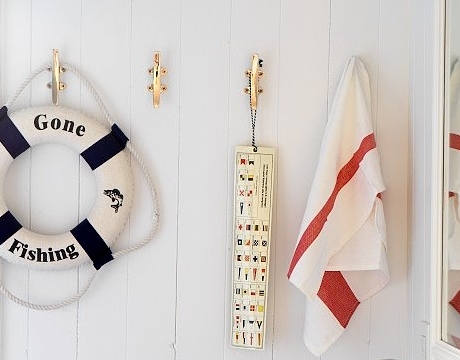 Use boat cleats for hardware and hooks to give a space a unique nautical touch. Nautical boat cleats are mostly used to tie a boat to a dock. 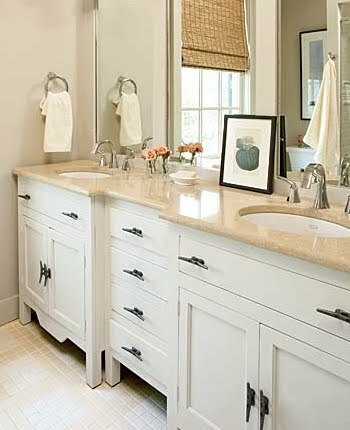 In this beautiful Nautical Bathroom you see nautical cleats used as hardware instead of regular Knob & Pulls. Via My Home Ideas. Nice brass boat cleats are used as wall hooks in a Nordic Nautical Cottage. 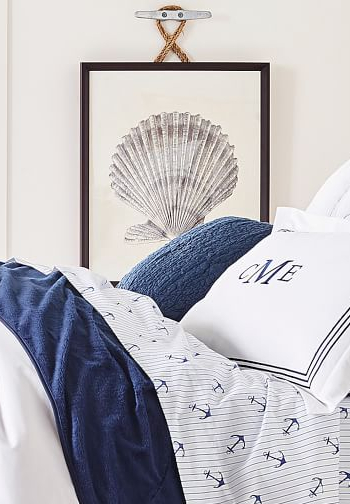 Cleat picture hooks seen in one of Pottery Barn's Coastal Bedrooms. 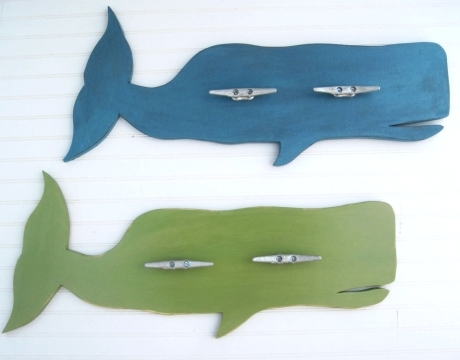 Featured on DIY Wooden Whale Cutouts. You might remember this staircase, featured on here. 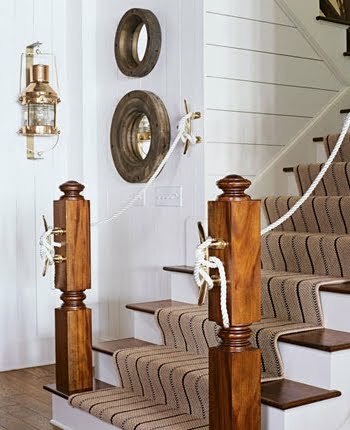 A clever use of nautical boat cleats and rope. Shop boat cleat hooks on Etsy & Ebay.